Greece is only participating in the Eurovision Song Contest since 1974. Often Greece has been sending songs, which were really folkloristic and did not appeal the Western European taste. The 12 points from Cyprus were always guaranteed and vice versa. Of course, both countries share the same taste of music. Greece and also Turkey were quite unsuccessful in the 80’s and 90’s, but recently these two countries are always among the favourites and they are ranking in the top positions. Probably the Eastern European countries are more familiar with this kind of music than with music from France, Spain, UK and Germany. The popular Greek music has changed a lot in the last decades. So, there are quite modern songs and melodies which attract many watchers from abroad. “Die for you” from Antique (2001) got a third place for Greece and after this breakthrough Greece is always in a favorite positions. 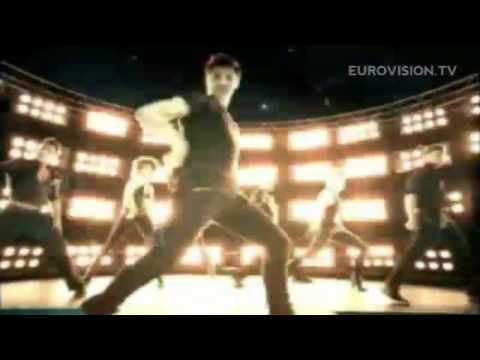 Sakis Rouvas has already participated in Istanbul (2004) with “Shake it” and came 3rd. In 2006 he had the honour to host the ESC in Athens. This year he is going to give it another try. The Greeks have decided one song out of four in a TV show. “This is our night” is a fast danceable pop song. It doesn’t sound Greek at all - not a single folkloristic element this time. This could be played at any disco or radio. The only strange thing in the song is the abrupt stop just before the chorus and the high tone, that seems a bit unusual and appears a bit bumpy. But the whole arrangement is well done, similar to Antique’s “Die for you”, very international. Sakis’ high degree of popularity combined with very good promotions with support by the Greek Tourism Board with banners, live performances on fairs, etc will guarantee a good position in the final. A top candidate!